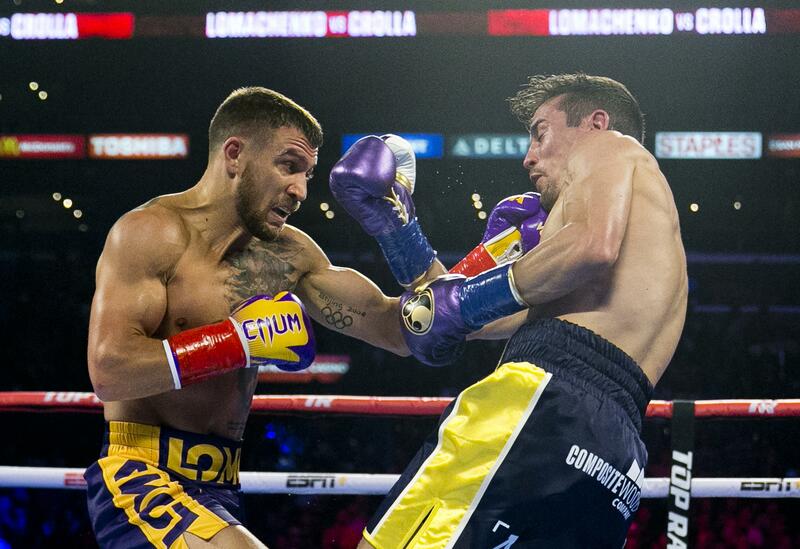 UPDATED: Fri., April 12, 2019, 10:11 p.m.
LOS ANGELES – Vasyl Lomachenko defended his WBA and WBO lightweight belts on Friday night with a violent fourth-round stoppage of Britain’s Anthony Crolla. Published: April 12, 2019, 9:49 p.m. Updated: April 12, 2019, 10:11 p.m.